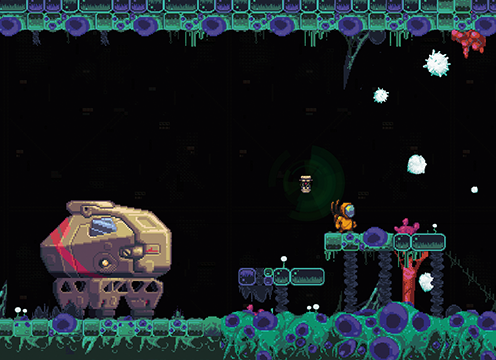 A science fiction 2D platformer featuring lasers, jellyfish and revenge. Kickstarted and Greenlit on Steam in 2014! Expected release TBD, STILL IN PROGRESS. Temporus is a two-dimensional adventure game that spans a variety of genres. If you like platformers, side-scrolling shooters, and RPGs, you might find that it’s right up your alley. 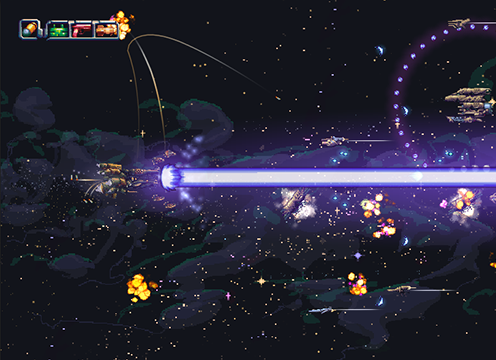 The main premise of the game is time travel, but there are also lasers, missiles, and jellyfish. As you advance through the game, you’ll begin to peel back the layers of the rich history surrounding this digital universe. You’ll discover ancient artifacts, see flashbacks of forgotten battles, and learn about primitive technology that could help you save the universe from complete destruction. There is a solid team of artists dedicated to making Temporus more than just another platformer. We want this project to showcase video games as the art form that we believe them to be, which is why it’s essential that we raise the funds to pay our talent. We’re planning to release the game on the PC, Mac, and Linux platforms, and we have high hopes that we’ll eventually publish to the PlayStation 4, PS Vita, and Xbox One. Reclaim honor as you battle your way through time to discover the origins of your people and the darkness that brough them to a terrible fate. Blast through waves of enemies to battle against the toughest boss fights! 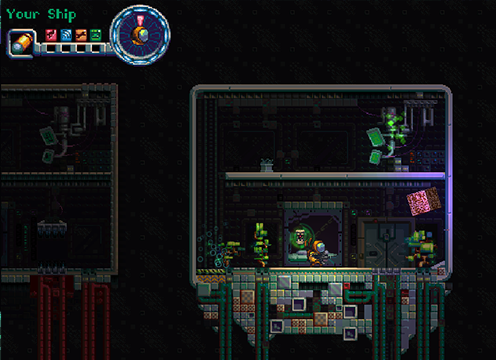 Powerup your ship and take on some crazy bosses. As you travel the galaxy and explore the past, you might find the information you need to help win the battle againt the unknown evil.